The debate about the feminine form of certain words of profession in the Italian language, specifically job titles, was brought back to the fore with the election of Virginia Raggi, the newly-elected mayor of Rome. She is, in fact, the first ever female mayor of Rome. With her election came the question of whether the word sindaco ‘mayor’ would be used to describe her as occupying the position of the major. Until recently, sindaco had no widely recognized feminine form in the Italian language. The dominant use of masculine words for titles and professions within the Italian language, however, is not a new phenomenon. Attitudes and inequalities associated with such a dominance was raised as early as 1987 by the researcher and activist Alma Sabatini in her influential treatise Raccomandazioni per un uso non sessista della lingua italiana ‘Recommendations for a non-sexist use of the Italian language’. Although Sabatini’s recommendations were reportedly “listed on the website of the Ministry Equal Opportunities (Ministero delle Pari Opportunità)” until the Ministry was terminated by Matteo Renzi’s government in 2013, it is true that masculine forms continue to dominate when naming professions and institutional roles that were not traditionally filled by women. Examples include medico ‘medical doctor’, ingenere ‘engineer’, and minister ‘minister’ (Robustelli 2013). Many reasons are listed for the resistance of the use of feminine forms for these titles. Some consider feminine forms “ugly” while others believe that masculine forms are also acceptable to use for women exercising the same functions, which makes it unnecessary to invent new forms. On the other hand, there is no resistance to the use of feminine forms for professions and roles traditionally occupied by women, such as infermiera ‘nurse’. As Robustelli (2013) points out, the resistance to feminine forms might indicate a resistance to gender equality and the representation of women in formerly male-dominated professions. La Repubblica, a large Italian newspaper, recently published a piece about how the Italian language is taking a long time to catch up to the new societal norms created in Italy’s increasingly diverse professional environment. Among the most prominent sectors are architecture and surgery (Farinaccio 2016). 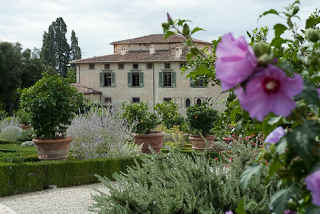 L'Accademia della Crusca, the oldest linguistic academy in the world and the most revered resource of the Italian language, strongly recommends the feminized versions of the words to be used rather than applying the masculine equiavalents universally. For professional titles and institutional roles relating to crafts, the Academy started recommending a general grammatical guide on how to create the feminine version of these previously solely masculine titles. The National Research Council collaborated with l'Accademia della Crusca and created a “Guide for the Preparation of Administrative Acts: Rules and Suggestions” in 2011. The report specifically mentioned the title sindaco/sindaca, due to its relevance in political life (Istituto di teoria e tecniche dell’informazione giuridica and Accademia della Crusca, 2011). Later, in 2013, the Academy reinforced its recommendations and support of the word sindaca ‘major’ (Robustelli 2013). In 1987, Alma Sabatini submitted the book “Il sessismo nella lingua italiana" [Sexism in the Italian language] to the Italian Government and to the Commission for Equal Opportunities. This is a crucial piece of writing that is often referenced with respect to the Italian language that derives feminine forms from their masculine equivalents. Sabatini says that such a practice can create negative attitudes towards women (Sabatini, 1897). She also talks about how many conservatives are wary of any linguistic change because they see any adaptation as unnatural and infringing on current habits. As Virginia Raggi was one of the catalysts to bring this questioning of the feminization of professional titles back into play, it is of interest to look at her use of the word for mayor. During her campaigning, Raggi used the masculine form sindaco exclusively. 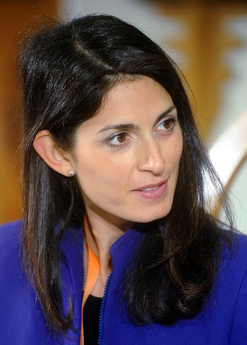 Since being elected, Raggi has consistently referred to herself by the feminine form, sindaca, and has proclaimed that gender policies will be an important focus during her term (Aimar 2016). Changes in the Italian lexicon are undoubtedly important, but they have not yet penetrated into Italian society. 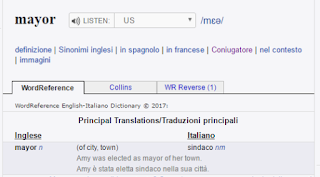 Many dictionaries only include the masculine form of various names of professions, and women, specifically mayors, are still more often than not referred to with an all-encompassing masculine titles. Thus, the change from predominantly masculine to a more inclusive grammar in Italy is slow but promising. Robin Wilson was a sophomore majoring in Global Studies and Italian when she wrote this text in 418, ‘Language and Minorities in Europe’. Robin has worked as an intern in the Illinois Department of Commerce in Chicago over the summer and is studying abroad in Bologna during her senior year. She is interested in migration and international security studies.